Drummer David Wallin has left Swedish melodic metallers HAMMERFALL in order to focus on his family life. 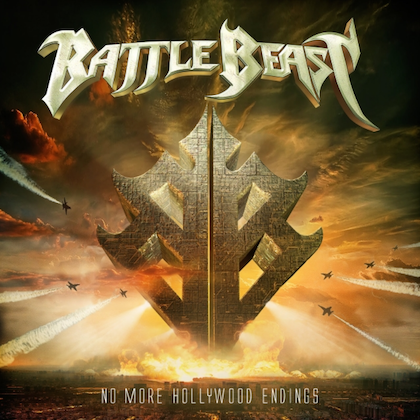 The remaining members of the band state: "It is very unfortunate, and we wish him all the best with his future career and life. But we have found a perfect replacement, and we're sure you will embrace him as quickly and warmly as you did David. 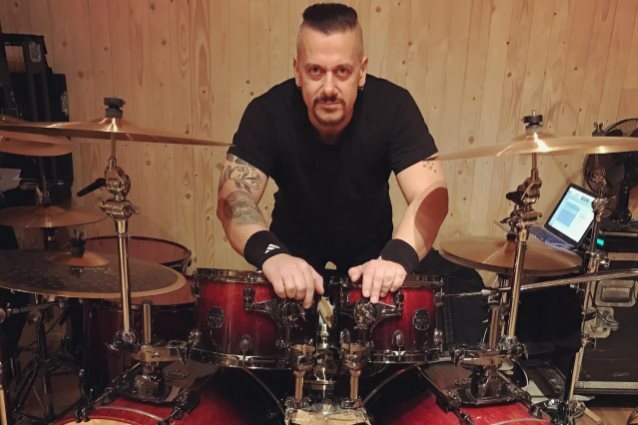 "Ladies and gentlemen, without further ado, here is the new drummer of HAMMERFALL: Johan Koleberg [pictured], formerly of THERION and Randy Piper's ANIMAL. Please welcome him with open arms, as he is a fantastic drummer and an all-around great guy. "We can't wait to get out on the road and show you what this lineup of HAMMERFALL is capable of. We're very excited! So see you at the concerts; it will be a blast!" HAMMERFALL's tenth studio album, "Built To Last", was released on November 4 via Napalm Records. "It's been a hectic time juggling the remaining shows of the tour with songwriting and, ultimately, recording, so the name of this venture feels very fitting," said guitarist Oscar Dronjak. "The 'World Wide (r)Evolution' was a resounding success on every level with half of the shows sold out, and we can't wait to get back on stage again to have a gigantic heavy metal party every night with all our Templar friends!"